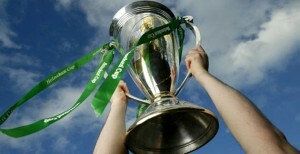 So the quarter finals of the 2013 Heineken Cup are set, and defending champions Leinster will be watching them from the couch, as their biggest rivals Munster sneaked in at the last moment to keep Irish hopes alive. In the last 8, Clermont will take on Montpelier at home, while Harlequins host Munster. Saracens will take on Ulster in England and Toulon will be at home to Leicester. The bookies are favouring Clermont and it’s easy to see why. After a million straight home wins they’re a virtual certainty to progress, where they’ll face Harlequins or Munster at home. They’re priced up at 11/8 with most bookies which is very short in an 8 horse race. If Toulon can overcome Leicester they’ll face a trip to Ulster or Saracens neither of which will be a cake walk, but they’re second favourites at 4/1, just short of Saracens in fact who are at 5/1 in most places. Harlequins are the only other team the bookies are giving a chance to, pricing them up at 7/1, while Leicester, Munster, and Montpelier are all longer than 20/1. There’s no doubt that Leinster would be priced up shorter than these three, but failing to get anything in Clermont when the game was there for the taking was their undoing. There really is next to no value to be had in the market, and the only thing that looks remotely like a good bet is Leicester at 20/1. A good win against a Toulouse side in the snow will have their tails up heading into the quarters, as long as everyone can come through the Six Nations with a clean bill of health. To be honest though, it looks like Clermont Auvergne are going to be deserved winners of this years Cup.